Hi everyone!!! 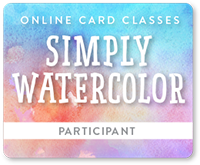 I wanted to post a quick tutorial for this snowman shaker card I finished. 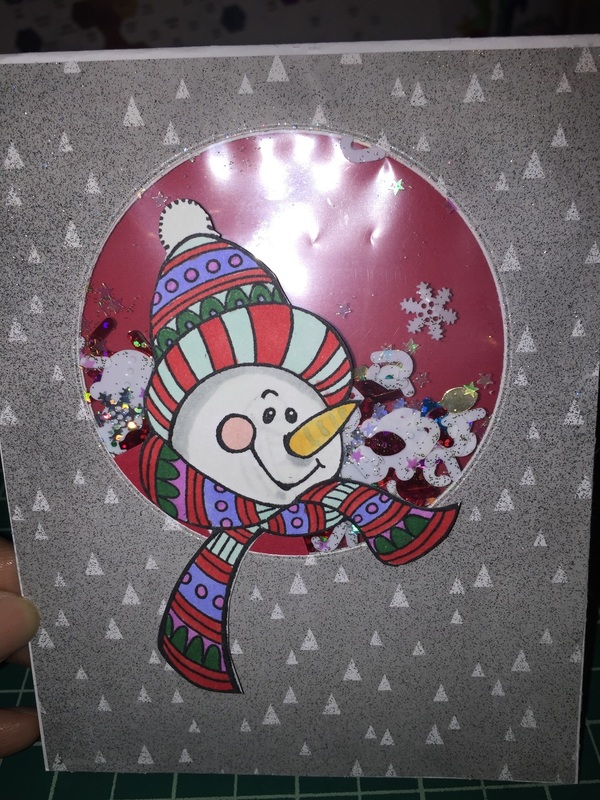 I started by using some white card stock and a snowman stamp. 2 stamped snowmen in case I make a mistake. Then I colored one in with my Spectrum Noir markers. Then I fussy cut the head off, because I knew that was all I would be using. Then I cut a 4.25" x 11" strip of heavyweight card stock for my base. Then I cut a 3.74" x 5" piece of red card stock. 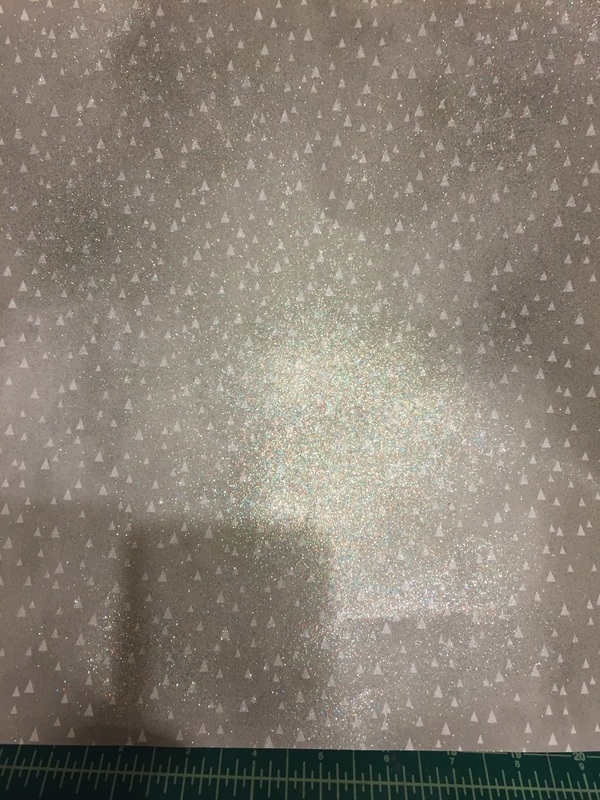 I decided to spray a sheet of paper I had with spray glitter to give it some shine. The paint takes 10-15 minutes to dry, so I was working on other things while it dried. Here is the result. Next I started on my shaker pocket. 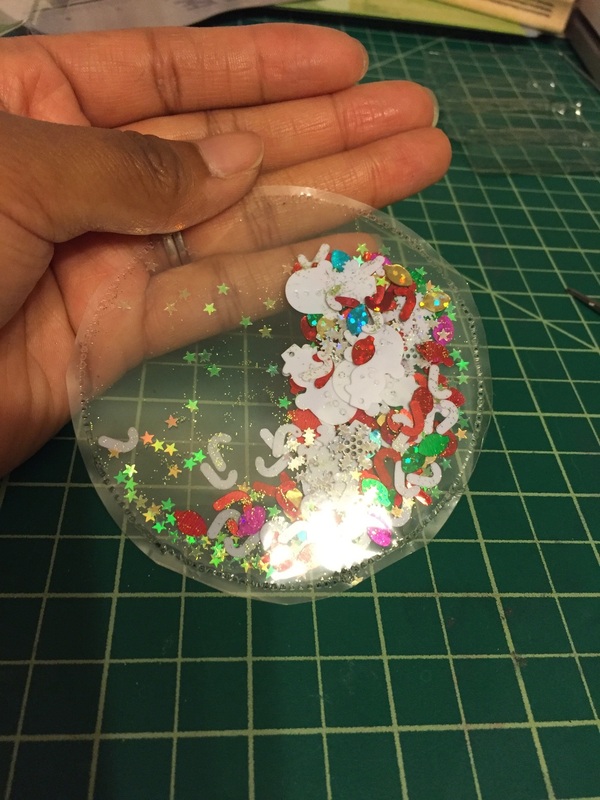 I used a circle die one size bigger than the die I chose for my card and taped it to a plastic sheet. Secured die and the Fuse. Then I cut around about 3/4 of my circle, leaving an opening at the top. Then I filled it with sequins and glitter, and then sealed the pocket shut. To cut the window I used a die slightly smaller than the shaker pocket. 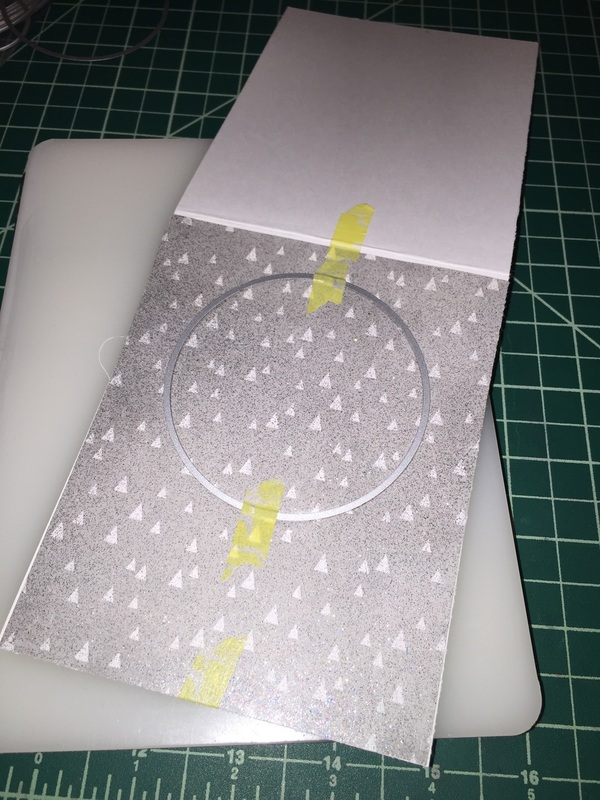 I taped the glitter paper and the card base together and taped the die to the front. Now came the assembly of the card. 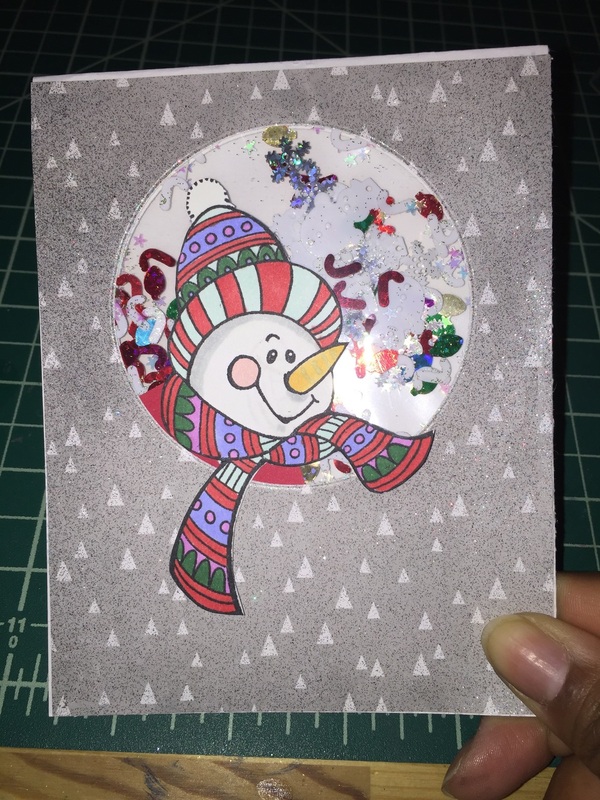 I started by adding a sweater to the snow man and attaching him to the back of the glitter paper so that his scarf was hanging out. His sweater from the back. I just cut out a piece of card stock and stuck his head on it. Then attached the pocket to the back of the glitter paper as well. Then added the red insert and it was done and ready for greatness! Using the same technique I made this gift tag. That's all for this post, and let me know if you have questions, Happy Crafting! !